Like a Storm is a band of brothers, quite literally, based out Toronto by way of New Zealand. Matt, Chris, and Kent Brooks started Like a Storm, and Zach Wood joined shortly after in 2014. They are set apart from most metal bands by Chris’ addition of a digeridoo on many of their songs. Like a Storm prides themselves on the ability to tour and have a fan base to tour for. Their latest album, The Bitterness was produced with performing live in mind. They wanted to produce something their fans could enjoy more live versus hearing it recorded. Metal Nation sat down with bassist Kent Brooks and drummer Zach Wood to talk about The Bitterness. The band was able to meet their goal of writing an album that they enjoyed playing live. 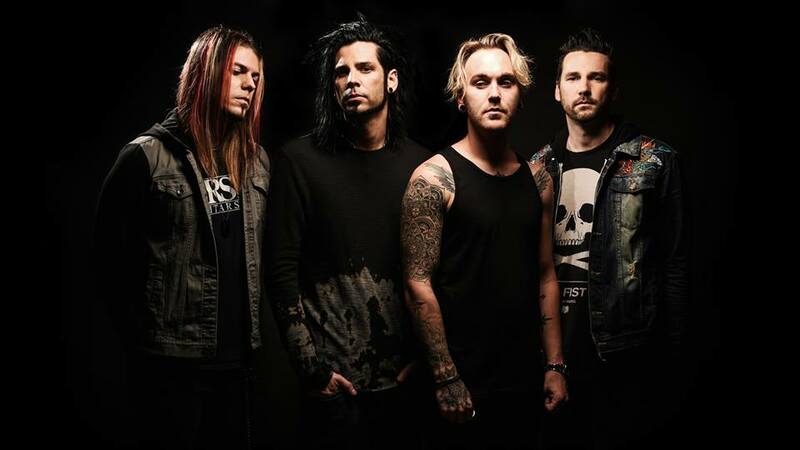 Like a Storm has been on tour regularly since their new album came out and they are not ready to stop there. Much like anyone on the road the guys enjoy listening to music as much as playing it. In their tour downtime, the guys enjoy gaming and working on more music ideas. The band gets most of their inspiration on tours whether it comes from touring with other bands or encouraging younger artists. Matt and Chris Brooks both play guitar and sing, and all three brothers always had music in their blood. The brothers did not start off in the same band, but eventually realized teaming up would create not only good music from their like-mindedness, but good company. Kent joined Chris’ band and then eventually Matt joined them as well. “I said to Chris, you know Matt is a really awesome guitarist, singer, songwriter, so I suggested he come into our band,” Kent said. Zach joined the band in 2014, and has played a key role in Like a Storm. Being family and long-term friends, has created the success of Like A Storm, as well as some of the songs. The brothers were close growing up, and went on family vacations were all they really had was each other for company. Coming up with the name for a band is not an easy task these days. Like a Storm went through the same process many aspiring bands today do. They spent time Googling names and focusing on unique names. The band name came to Chris while sitting out on their parent’s veranda. The band is grateful for the help and kindness they receive in the US. “I completely agree with that,” concurred Wood. Catch Like a Storm on tour this winter, and pick up your copy of The Bitterness.